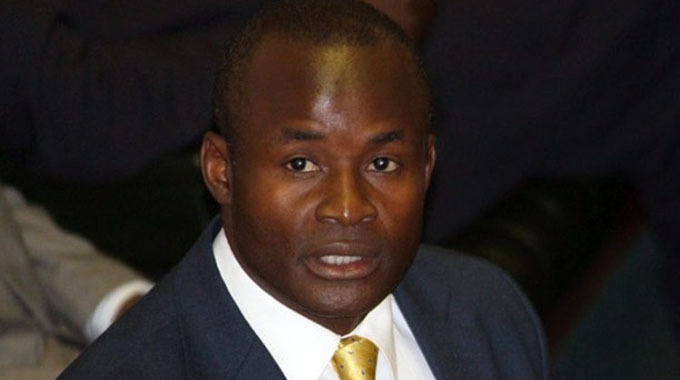 Parliament has resolved to constitute a privileges committee to look into allegations against Norton legislator Mr Temba Mliswa that he and three others allegedly demanded $400 000 from a local businessman keen to mine coal at Hwange Colliery. Speaker of the National Assembly Advocate Jacob Mudenda on Thursday upheld a motion by Makoni South lawmaker Cde Misheck Mataranyika (Zanu-PF) that allegations against Mr Mliswa were of a serious nature requiring investigations by Parliament in order to safeguard the integrity of the august House. Mr Mliswa, who chairs the Parliament’s Portfolio Committee on Mines and Energy, was implicated with three other members — Cde Leonard Chikomba (Gokwe Kabuyuni, Zanu-PF), Mr Anele Ndebele (Magwegwe, MDC Alliance ) and Mr Prince Sibanda (Binga North, MDC Alliance). In his ruling, Adv Mudenda said Section 194 (1) (a) of the Constitution required that Members of Parliament demonstrate high standards of professional ethics. Adv Mudenda said Parliament has to act. Adv Mudenda said the committee would in its next meeting constitute the privileges committee and appoint an interim chairperson of the Portfolio Committee on Mines and Energy. Responding to a motion by Cde Mataranyika, Mr Mliswa said he supported the ruling made by Adv Mudenda and offered to step down as chairperson of the committee until investigations were finalised. Cde Mataranyika’s motion followed allegations by a local businessman, Mr James Ross Goddard of JRG Contracting (Pvt) Ltd, that Mr Mliswa and his colleagues demanded $400 000 as “facilitation fee” to enable the latter’s company secure a mining contract at Hwange. Mr Goddard alerted Police Commissioner-General Godwin Matanga and Vice President Kembo Mohadi. “On the 7th of September 2018, Mr Shepherd Tundiya approached us and advised that he has been seconded to Hwange Colliery by the Office of the President and Cabinet to resolve the problems affecting operations there. We advised him that we would be able to assist with mining at Hwange provided that a legitimate contract is in place and that there is a guarantee from the Government of Zimbabwe to adequately fund the mining,” narrated Mr Goddard in a story exclusively published by The Herald on Monday. He said they held several meetings with Mr Tundiya in Hwange, Bulawayo, Gweru and Harare. Mr Goddard’s firm reportedly advised that it could not meet the demand and that it went against the principles that JR Goddard Contracting has been operating under since inception in 1982. Furthermore, it was reportedly brought to the attention of the legislators that their demand was a very serious challenge to President Mnangagwa’s anti-corruption efforts.